In Conversation: Place and Revolution is a series of blog posts that put the place and context of socially engaged art at the fore. Beginning in March 2015 and continuing each week leading up to Open Engagement 2015, respondents from places across the world were invited to reflect on the issues in their locations and how socially engaged art is playing out in their backyard. The respondents were then asked to take part in a dialogue about the issues, challenges, and possibilities of creating engaged work in the world. 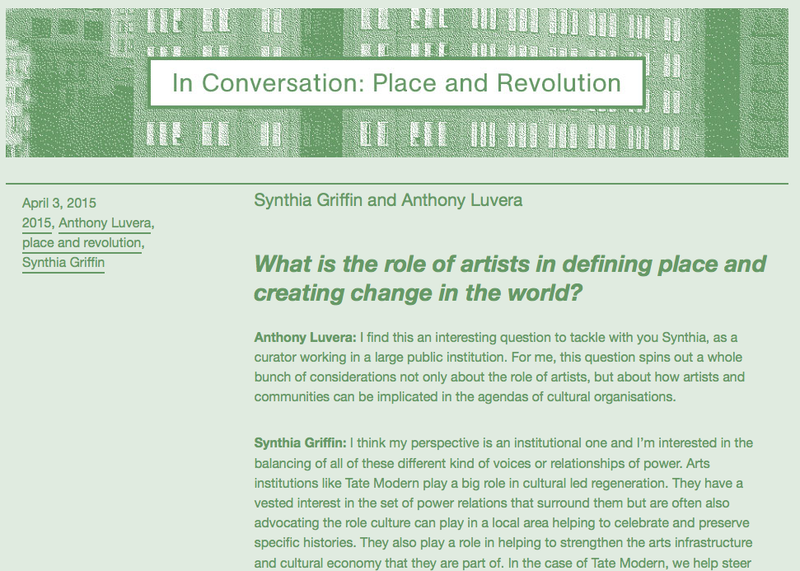 What is the role of artists in defining place and creating change in the world?